As soon as I got my driver’s license when I turned 16, my mom would give me really oppressive curfews (or so I thought at the time): “Be home before dark, or else!” Eventually, she let me stay out past sundown. Regardless of when I was told to be home with the car, she insisted on knowing where I was going and who I was with. I didn’t realize it at the time, but it was really difficult for my mom to watch me leave her sight. My mom was a Registered Nurse who worked in the emergency ward at Detroit Receiving Hospital: she witnessed worst case scenarios on a daily basis. And she had to bear her worries alone, since my father passed away a few years earlier. My mom tried to protect me from things she had to know I would eventually experience. She just did her best to prolong the inevitable, and hoped for the best. something or make a point better than anything else. few minutes, it’s really not funny at all. It’s sad. and it’s hidden in plain sight.Click Here to view available t-shirts. When I wasn’t being pulled over, it was painfully obvious that I was being followed. One instance in particular, a squad car followed behind me so closely, I thought he was going to rear-end me. The police cruiser filled up my rear view mirror; it almost felt like those cops were in my back seat. No lights were flashing, and there was no siren. I dared NOT pull over. I heard their message loud and clear: “Don’t drive though this part of town again”. And I didn’t for a long time after that. At one time, police intended to do harm to my friend… he watched the police from his rear view mirror remove their badges from their uniforms as they approached his car. His cries for help (waking the neighborhood) is the only thing that kept him from being beaten, or worse. the police in that area. I don’t believe my experiences, or the experiences of my friends, are unusual. In fact, they are typical. Being racially profiled is just a fact of life. It’s something we’ve (sadly) grown used to, because there has never been a time in American history when black folks haven’t been singled out or profiled at some point. 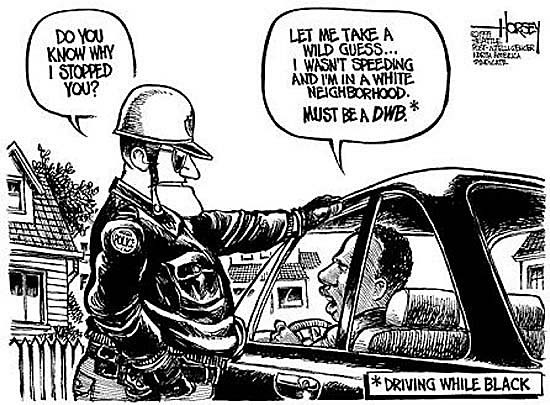 Sometimes, I occasionally “forget” that I’m driving while black, because a few years go by without being pulled over. 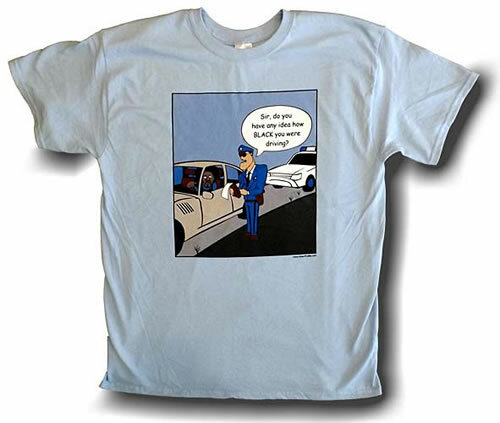 I’m immediately reminded when I’m pulled over for the wrong reasons… again. Or, when I hear about someone in the news that was stopped for driving while black, and things went horribly wrong. The absolutely unnecessary death of Philando Castile is shocking. But, at the same time, it isn’t surprising. Every black person born in the USA with a driver’s license is very aware that we could be killed just like Philandro was. There are thousands of black men just like Philando among us. Always have been. And they were here long before smart phones or social media were invented. Philando’s story isn’t new. The fact that this heartbreak was captured live, as it was happening, on social media is the only thing different or unusual about this story. states that there is no evidence of racial bias in police shootings. In a nutshell, that study is bogus. The Guardian exposed numerous flaws in the study. Vanity Fair published an article providing evidence to the contrary; they list more than a dozen sources of information (academic research, official and media investigations, and court rulings) that contradict this recent study from Harvard. Even a fellow Harvard academc disagrees with the study. The study limited its research to just a few cities, but attributes its findings to cities that were never included in its “research”, such as Baton Rouge, Louisiana where Alton Sterling was killed, or Falcon Heights, a suburb of St. Paul, Minnesota, where Philando Castile was killed. The study doesn’t include small towns like Ferguson, Missouri either. The study makes further inaccurate assumptions regarding the use of force vs. the number of shootings experienced by black people, as if these occurrences are separate and unrelated. 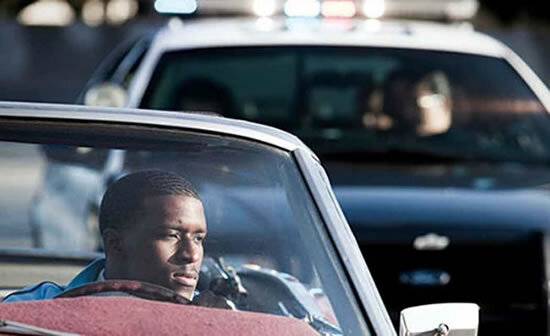 For example, the study did conclude that a black person in New York who is stopped by the police is 24% more likely to have a gun pointed at them than a white person. So, why would they be no less likely to be shot by an officer? That doesn’t make sense… wouldn’t one thing lead to another? The study has yet to be peer reviewed. In other words, experts within academia have yet to scrutinize the author’s findings to see if they are accurate enough to publish. I believe the release of this study was timed purposefully to coincide with the recent shootings of Philando Castile and Alton Sterling. There are individuals and organizations that will do what they can to delegitimize calls for racial justice and police reform: “Believe what we say, not what you see”. These types of “studies” are meant to mislead people who are new to the idea of police bias towards people of color. It is certainly not meant to convince people of color. Most of us know better. Mapping Police Violence (mappingpoliceviolence.org) is an ambitious effort and a far better resource for tracking police violence imposed upon black people. This entry was posted in Urban Profile T-shirts News on November 25, 2017 by Steve. Love It!! Comfy, stylish and washes very nicely! !